We're throwing ourselves into another season of corruption and suspense with a party even the Underwoods would approve of: one with class and panache. Wine, cheese and lip-smacking appetizers that are easy to prepare in advance. Make room on the couch: Frank and Claire Underwood are finally back with season five of House of Cards, and we are ready to binge watch! But what's a night of watching Netflix without friends? We're throwing ourselves into another season of corruption and suspense with a party even the Underwoods would approve of: one with class and panache. Wine, cheese and lip-smacking appetizers that are easy to prepare in advance. In short: all the recipes and tips you need to host like a pro while spending time with your guests (and favourite TV show). So gather the gang and impress with no stress! 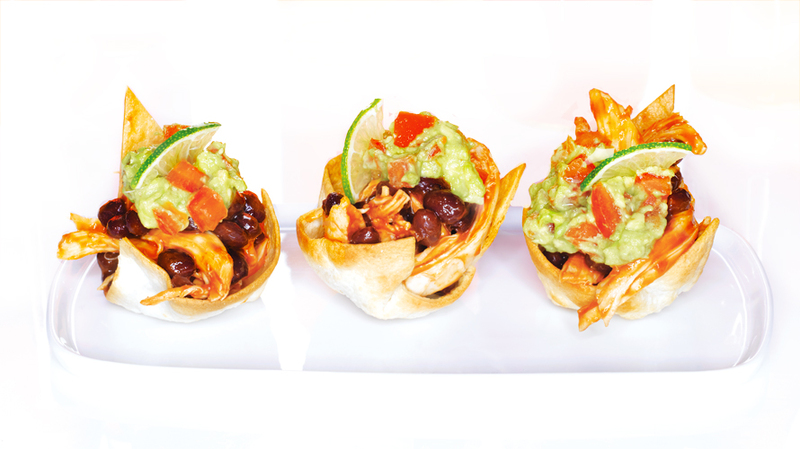 Our "best in show" bites are just what you need to host a night they'll remember. 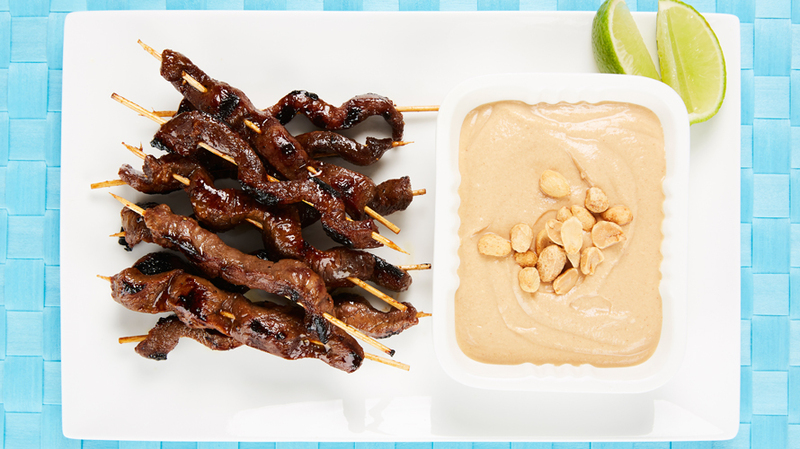 How do you a strikingly elegant, from-scratch appetizer? Simple. 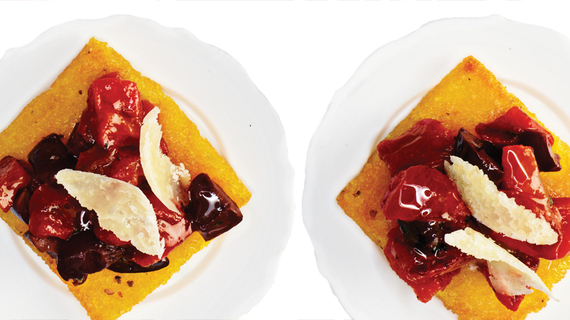 Follow Lisa's great directions for these inventive crostini, crisp polenta squares serving as the perfect vehicle for soft, sweet and aromatic oven-roasted peppers, along with fruity, fleshy Kalamata olives. Wanna give a gift that isn't the pits? 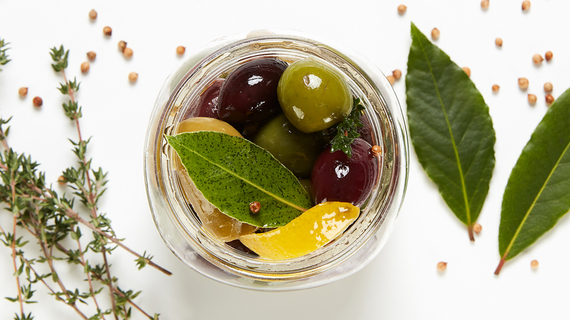 These scrumptious marinated olives will please everyone on your list. 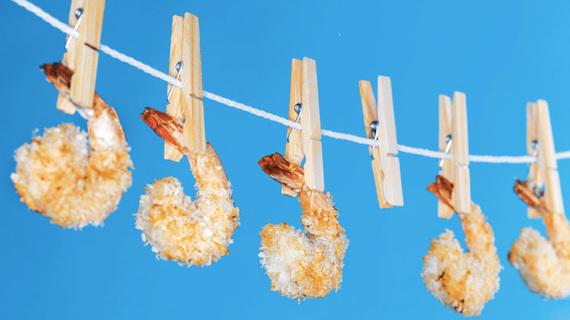 We've always loved coconut shrimp, but never loved the deep fried effect -- greasy fingers and stomach aches -- that ensued. Now, thanks to this recipe, we can now enjoy these delicious delights, guilt free! Coated in a coconut crust, juicy shrimp are baked until golden brown and dipped in a sweet apricot sauce. Traditionally, tostadas are flat, deep-fried tortillas topped with refried beans, cheese and other fixings. tasty, but try balancing a greasy open-face taco in one hand while not spilling your drink from the other... awkward. We won 't let your fiesta flop -- these tortilla cups mounded with Mexican-spiced chicken and creamy guacamole guarantee the only thing to hit the deck will be your Corona-crocked amigos. Are you crazy for cashews? 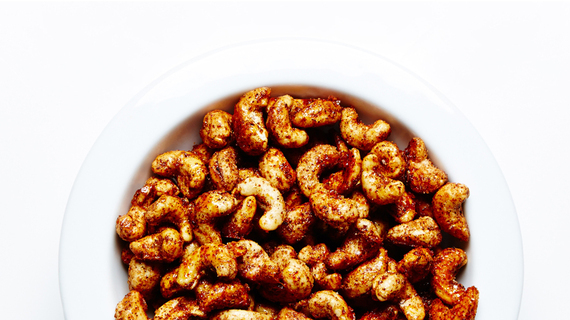 We certainly are and that's why we've always got these cumin and chili-spiced nuts on hand. Whether you're eating yakitori in Japan, shish kebab in Turkey or chuanr in China, there is a universal and primal thrill from eating meat off a stick. Looking for inspiration we bypassed the North American corn dog and travelled East -- aromatic lemongrass and smooth peanut sauce lend our easy beef satay full-bodied flavour. It's always a challenge to improve on a classic, but, as always, Chef Lisa is up to it. Here, she takes the classic Pavlova and transforms it from ho-hum to oh-yum. 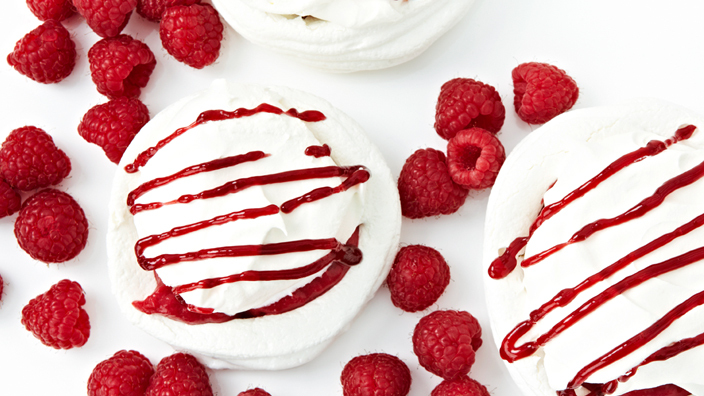 Meringue nests, with crisp exteriors and soft, light interiors, are packed with a homemade, sweet raspberry filling and finished with an airy pillowy topping. We'd like to amend the expression that good things come in small packages. In fact, it's great things (read: creamy, toffee-filled, buttery crusted and chocolate drizzled) that come in small packages. 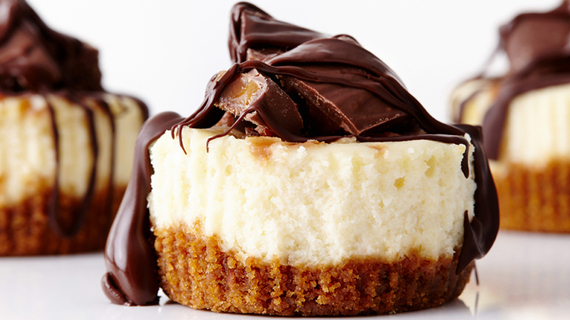 These mini Heath Bar cheesecakes, easy to make and even easier to devour, may be small in size, but they deliver huge in taste. 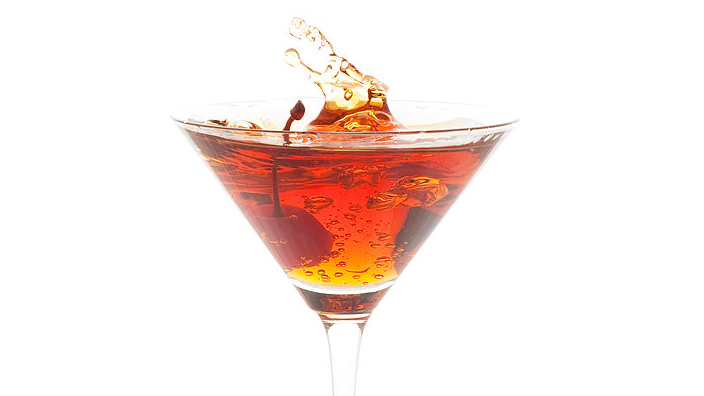 This recipe for the classic Manhattan cocktail combines whiskey, vermouth and bitters, with a maraschino cherry on top. 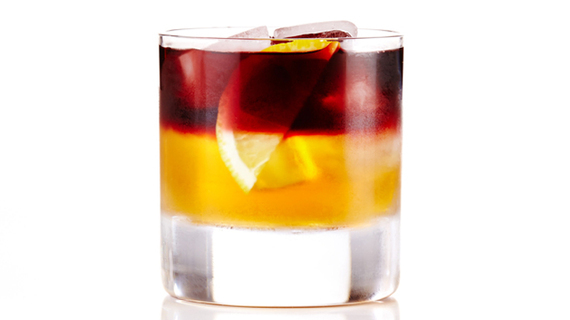 Count on the City that Never Sleeps to put a scrumptious twist on a classic cocktail -- meet the New York Sour, a golden whiskey sour that's topped with fruity red wine, serving up satisfaction in every sip. 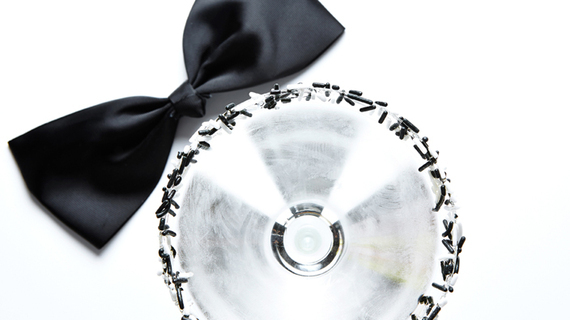 You don't have to throw a fancy gala to enjoy this black tie martini, a delicious combination of gin, vodka and white wine. What are you waiting for? Suit up!